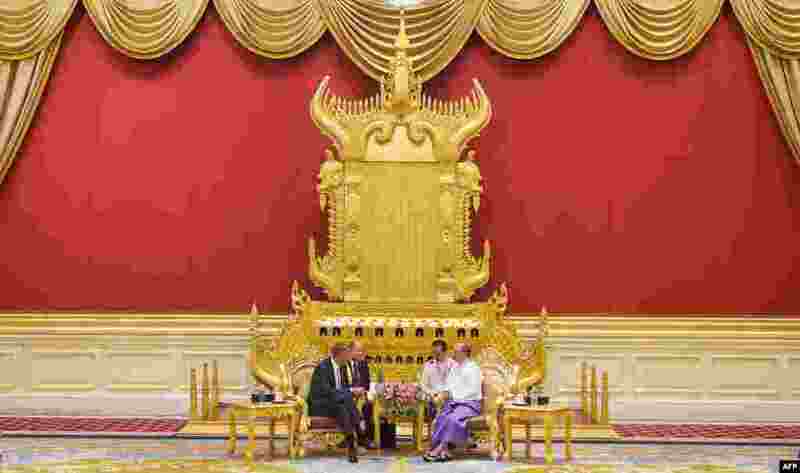 1 U.S. President Barack Obama takes part in a bilateral meeting with Myanmar's President Thein Sein at the Presidential Palace in Naypyidaw, Myanmar. 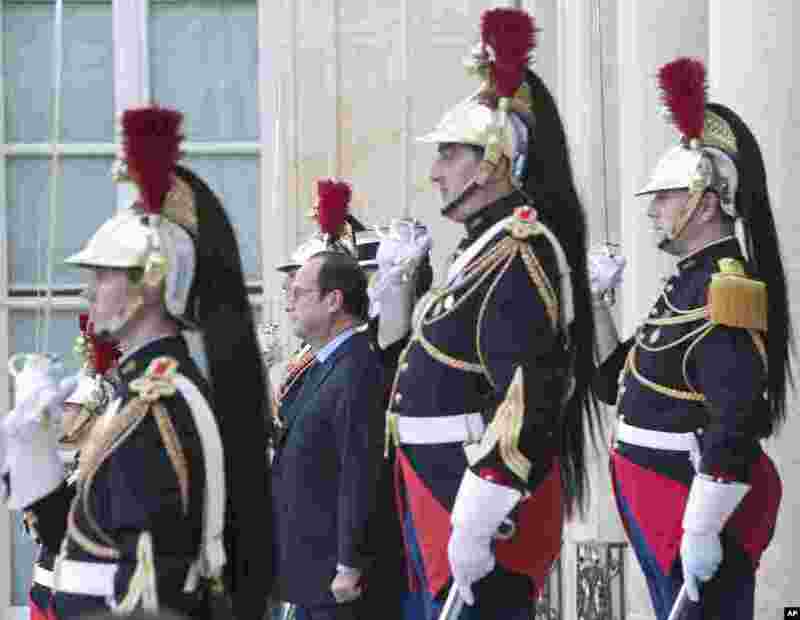 2 French President Francois Hollande, second left, looks toward Belgium's Prime Minister Charles Michel as he leaves the Elysee Palace in Paris after their meeting. 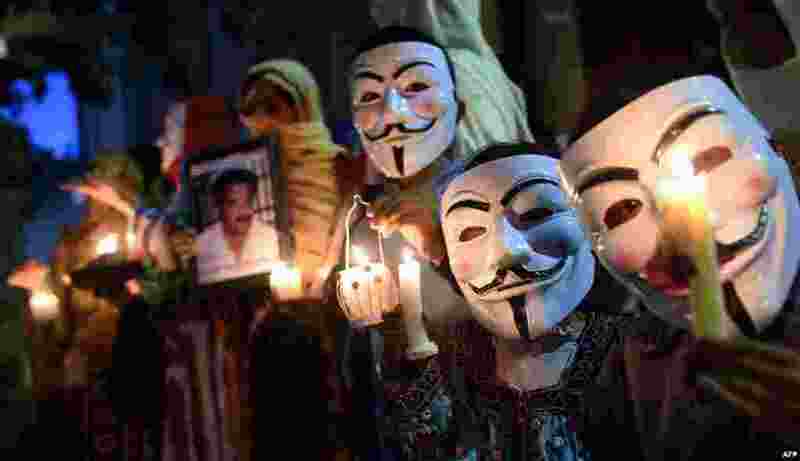 3 Relatives of missing Pakistanis wear Guy Fawkes masks as they observe Baloch Martyrs Day in Quetta. 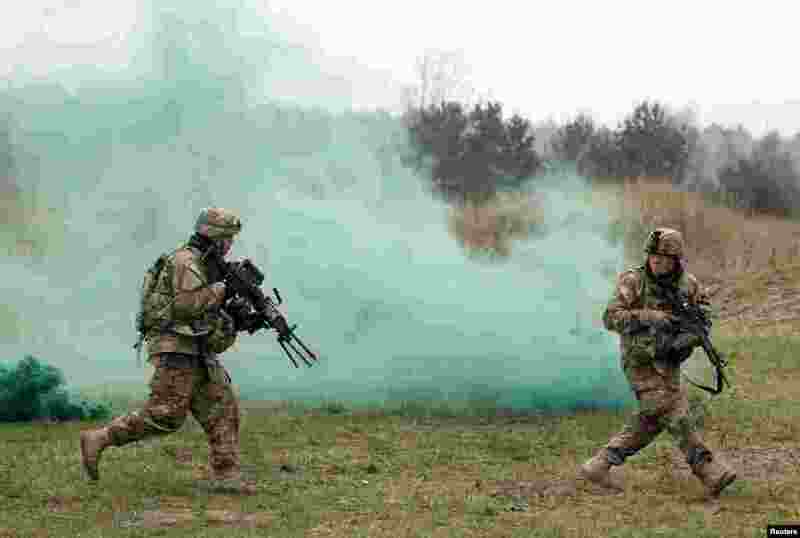 4 Members of U.S. 2-8 CAV, 1st Brigade Combat Team, 1st Cavalry Division take part in a joint attack combat military exercise with Poland's 1st Mechanized Battalion of the 7th Coastal Defence Brigade near Drawsko-Pomorskie.